MES serves clients through all phases of engineering, from Conceptual phase to Decommissioning. Founded in 2006, MES has offices in Leatherhead (UK), Dubai (UAE) and maintains resources and office bases in key strategic locations including North Africa and Kazakhstan. The success of our business is based on a high entrepreneurial spirit, sustained focus on delivering a high quality service to our clients and competiveness within the market place. This is achieved through sound leadership, a diverse, enthusiastic and flexible work force and a portfolio of specialised tools to support the work performed. Through working collaboratively with our clients, providing an infrastructure of resources and continuous innovation in solutions, we aim to become the leading consultancy providing Risk, Environment, RAM and Safety engineering services worldwide. Since our foundation in 2006, MES has grown successfully by adding a number of major international clients to our growing client portfolio. Our experience together with our commitment and desire to support our clients more locally by opening up international offices has enabled us to provide more dedicated support to our clients in a coherent approach. Our aim is always to work as an integrated team and take on our client's challenges as if they are our own. This commitment to work closely with the client in solving their problems has led to the opening of offices in the UAE (Dubai), Nigeria (Lagos) and Kazakhstan (Aktau). This is a set of standards that we expect our employees to adhere to. Our code of conduct helps all our clients, our employees and other stakeholders to understand exactly what we stand for and how they can expect us to conduct ourselves. These include standards of integrity, accountability, responsibility and business conduct. We aim to conduct our business within the framework of applicable professional standards such as those employed by professional bodies including IChemE, IMechE, SaRs and applicable regulations in which we conduct business together with MES policies and standards. We define ourselves by 3 core values: teamwork, a quest for excellence and sound leadership. These help us to develop, grow and succeed as both individuals and as a business. MES is driven to invest in the future of engineering as part of its social responsibility and giving back to the local community. Every year we give a number of university students the opportunity to gain work experience as part of their dissertation project or final year internship. To find out more about these opportunities please contact our careers team. 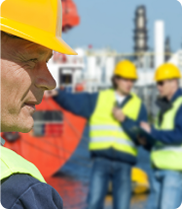 MES is committed to our Quality, Health, Safety and Environmental Management System (QHSE MS). MES operates in compliance with the Quality Management System ISO 9001:2008. MES is also committed to lowering our environmental impact of our activities. MES operates in compliance with the Environmental Management System ISO 14001:2004.